If you live beyond the sidewalks, or are planning to move there, you need a way to sustain yourself: you need money… either to get you there or to stay there. Money will help you endure the trials and tribulations of an off-the-grid life, or just the inconvenient—though welcomed—way of life, that country living can bring. Jobs are few and far between out in the sticks, and in this economy, your move to the backwoods has to be proceeded by some thoughtful considerations on the subject of income. Do the math: the slow economy plus our desire for a good country lifestyle equals you coming up short on cash if you’re not careful. The days of a totally self-sustainable country lifestyle are likely all but gone; the days of manufactured products, must-haves and can’t-do-without possessions are here to stay. There aren’t very many of us that won’t need money at some time to maintain our homestead, clothe and feed ourselves and our children, and have a few of the finer things in life we’ve all come to expect. This is where the outside, gainful employment comes in: you’ll probably have to locate some. Either find a job or create a business. At this point you may find yourself getting a little discouraged, but don’t. The key is to make the most of where you are and who you are; remember the old adage “Use it up, wear it out, make it last or do without.” Apply the same philosophy to figuring out how you’ll make it beyond the sidewalks. Jobs in the country are not as easy to find and they will pay you less, so if we can’t survive on one, and many times we can’t, even living way under our means, then it’s time to think about creating our own source of income. The possibilities are endless, and you don’t have to count on just one income stream; several folks in my county do more than one job, or they mix an outside job with a work at home skill they’ve developed. Begin by thinking about what you already do—what is your hobby and can you make it into a profitable business? Can you find a niche and create a need or product to fill that niche? Look around you at the inventiveness of your neighbors and get inspired. As I look around the area of the country where I live, I see that this one area of interest has spawned dozens of businesses that seem to fit in great with the country lifestyle. One of the reasons a lot of us move to the country is our love of animals and to have enough room to raise them. Doggy day camp is huge business, our pets are our children and no one wants to leave them home alone all day. You may be going out of town for a day or a week, but you want your dog or cat to be happy and well cared for, so doggy day camp—for a day or a month—is a great solution, and this business fits in nicely for someone who has a few acres for the dogs to roam on. You many need to build a few kennels and invest in some portable dog houses, but your investment for this business doesn’t have to be huge. Start small and build to include grooming and training as well. Maybe even pet photography—who wouldn’t want a picture of Fido or Mimi sitting atop the grand piano? If you’re going to board dogs, you’ll need space for dog runs and kennels, and having a few acres in the country should provide you with this space. A small pool and various dog and cat toys will go a long way in keeping your animals happy. Tax preparation is one of the least expensive start-up businesses, and one that lots of consumers will find helpful. If you’re sure you know what you’re doing before you get into this business, you can turn a good profit. It does require that you do your homework in preparation… Uncle Sam is adamant and particular about laws and regulations. Educate yourself on the Internal Revenue Service and the state tax laws by taking courses at your local community college or on the Internet. Also H&R Block offers courses in tax preparation each year before tax season. Choose a special, dedicated area of your home for your business; you’ll need a place away from family noise and distraction to be a success at this business. Your office also needs a separate phone line for incoming business calls, a computer, printer, fax machine and copier. Place a small ad in your local paper and attract the folks that don’t want to pay high city prices for getting their tax returns done. You can start your business completely solo, or be part of a franchise—there are companies that will let you use their name for a fee. Set up your home office and get to work, and remember to claim the home office deduction on your own taxes. Anyone who knows how to sew and enjoys it can put their knowledge and abilities to work. There are many opportunities available to start a seamstress and alteration home business. Include things like simple mending of clothes, sewing on military patches, altering school uniforms and reweaving. Also known as invisible mending, reweaving dates back over 200 years and is the method of repairing damaged cloth by taking threads from a concealed part of the garment and reweaving them over the damaged area. Reweaving is an art that has seen better days, but is now enjoying something of a comeback. Country people are more likely to appreciate and value the frugality involved in mending and altering clothes. A sewing business can be a profitable full or part-time business, and you should start out by first assessing your skills. Can you honestly call yourself a seamstress? Can you make a wedding dress or tailor a man’s suit, or are you more of the crafty type who makes aprons and Christmas stockings? Invest in the best sewing machine you can afford, at the very least a machine with a straight stitch, a zigzag stitch, and a buttonhole stitch. You’ll also need a serger to finish seams, a table for cutting, and an iron. You should have a room set aside just for sewing with storage for all your supplies. Junk Haul Off: Have Pick-up, Will Travel. This is a business I’ve seen work very well in the country; it’s a green business that you can start with no more than your pick-up truck, a place to dump the stuff, and a small ad in your local paper. You’ll be hauling things away that regular trash services can’t deal with, therefore it can be a very lucrative business; we’re a society of consumers with lots of junk and no way to get rid of it ourselves. Haul off appliances, carpet, tires, furniture and all the rubbish that adds up so quickly out here beyond the sidewalks. This business will help you keep your neighborhood clean by recycling, you can even make side money by fixing up some of the junk you haul off—it’s a business with a side business built in. Find your local recycling centers and what they’ll accept. Help the hoarders. It seems that since people in the country tend to have more room to spread out on, they tend to have more junk—you could find yourself in junk heaven. I’ve always been fascinated with bees and the process of making honey; I’ve sometimes fantasized about beekeeping. Well, through study of the art I found it wasn’t that complicated. Contrary to what I thought, starting a beekeeping business isn’t that challenging and doesn’t require expert knowledge or skill, and best of all, not a lot of money. Through my research, I uncovered a cardinal rule for beginner beekeepers: don’t buy used equipment. The hives may contain a virus which could not only harm the bees, but cause them not to even want to go near the hive. At this point you need to talk to local beekeepers and find out what kind of hives they use for the area in which you live. When you’ve decided on the type of hive you want, then decide how you’ll add the bees, with a nucleus, a package, or a swarm. Nucleus: The nucleus means you buy a 3 by 5 frame and a hive with a brood and a laying queen. Package: These bees come by the pound and include a laying queen, you’ll also get a sugar feeder for the bees. Swarms: These are swarms caught by beekeepers and used to supplement their own hives, the danger here is of the bees having a virus known as Tracheal Mites or Varroa. Raising your own bees can provide you with a great hobby, a source of fresh honey, and an interesting way to earn money. You don’t need expert knowledge or skill to start this business; many people in the country keep their own bees for fun and profit. Basic beginning supplies are a hive, a smoker, a protective suit, and feeders which can be a heavy duty plastic bag or plastic container. This is another one of those great businesses to start out of your home because it’s low-cost and you can work it either part or full-time; the added bonus is being able to attend all the festivals and country fairs in your area. Since it’s a cash business, the licensing requirements aren’t as stringent—another plus. However, it’s a competitive business and you’ll often be learning on the fly. Think about all the great festival food you’ve eaten; what stands out in your mind? Was it the Coney dog, the hot dog, the funnel cake, the ice cream, the curly fries? Basic advice from seasoned food vendors is to go with what you love. Rent or buy your food cart by going to auctions, checking out the classifieds and online sites and message boards. The equipment you’ll need to make your chosen food can be found used. Remember to buy all required licenses so you’ll be in compliance with the health department. Check online for good deals on hot dog carts, trailers and concession trucks, and visit restaurant supply stores for items like coffee makers, microwave ovens, and pots and pans. Check out the Southern California Food Vendors Association, for news and information about this profession. 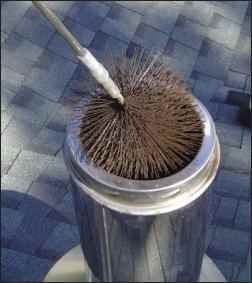 This is a career you really need to be committed to since you’ll spend most of your time on a roof or wedged into the small space of a chimney, you’ll get very dirty, but you’ll be performing a valuable service in keeping chimneys safe and healthy. Get certified through the Chimney Safety Institute of America (CSIA), where you’ll learn to inspect and service all kinds of chimneys, and other heating devices like pellet and wood stoves, which are popular in country homes as well. Some equipment you’ll need: chimney brushes, chimney brush rods or a rope and pull rings, fireplace cover, protective coverings for furniture and rugs, metal bucket, shovel and broom, vacuum cleaner and a powerful flashlight. A shoe repair business makes a lot of sense in these tough economic times; but to repair shoes so that your customers can actually get a few more years wear out to them does take some skill. Shoe repair isn’t as common a trade as it used to be, so if you want to learn this trade, you might start out as an apprentice, learn from someone already in the business by working for them for as long as it takes. Join the Shoe Service Institute of America (SSIA), on their website you’ll find updates on industry news, contact information for wholesalers and suppliers, and ads for equipment sales and business opportunities. To repair shoes and boots you’ll need hammers, shoe nails, heel savers, adhesives and screwdrivers, to name a few. Being a ferrier is a dangerous job, and one you need to be dedicated to in order to be successful. But if you love horses, you’ll find this profession engaging and in demand. It’s one of the professions that fits in nicely with the country lifestyle, especially if you have room for horses. Do you have a natural interest and ability with horses and are you willing to put in the time to learn? This is the type of profession that you could apprentice for, but you’ll also need to prepare by studying horse anatomy, trimming, molding and shaping of horseshoes, how to apply horseshoes and the handling of the horse, as well. If you want to apprentice, go to your local ferriers supply or feed supply and ask to put up an ad requesting to become an apprentice. 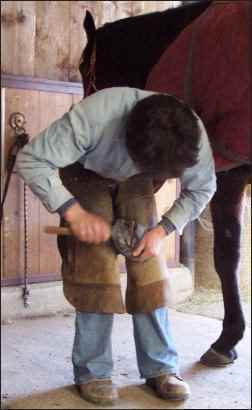 Some tools you’ll need to have as a ferrier are an anvil for molding horseshoes, a ferrier knife and hoof nippers for trimming hooves, a ferrier’s forge to custom make or fit horseshoes and horseshoe nails among other things. Check out http://www.horsehoofcare.net for more information on becoming a ferrier. Can you really make money collecting nature’s bounty? Herbs, leaves, stems, bark and the like? Yes, you can. You can harvest the bounty that’s all around you and sell them for use in medicines, home remedies, potpourris, food… the list goes on and on. Start out by buying a good plant book and walking the woods and fields in your area to find out which ones grow and are in demand. This is time-honored profession and one that takes very little money to start; living in the country makes it that much easier to prosper at it. Roots will be your most profitable finding, especially ginseng. You should hunt for any and all plants where you find the richest soil and lots of shade. How you find those areas is up to you as most wild crafters will not give up their secrets. Some of the more common plants you can learn quickly and find pretty easily are catnip, nettles, herbs and cactus fruits; you can always grow many of the most popular herbs yourself. Write to herb buyers and get their price list; study your book on recognizing wild plants and on any sunny day strike out and launch your career. You’ll need to acquire permits to harvest plants on public land, in most cases you can get these from the local sheriff’s office. Supplies you’ll need, depending on what you harvest, may include: tools for cutting and digging like axes, shovels, rakes and chainsaws, and various containers to hold the plants like boxes, bags and baskets. The odd job market potential is huge out there—let’s face it, we all have things around our homes we just don’t want to do. That’s where you come in. If you’re motivated, there are so many ways to make money. Start out by being honest with yourself about what you can do, will do, and are willing to learn to do. Then set your fees, make a simple flyer and/or start answering ads in your local paper for folks looking for someone to help them do the odd jobs they don’t want to do. Check out Craigslist gigs, and also the classified ads online, Yellow Book and Quest to deliver phone books, pizza delivery, newspaper delivery, lawn and garden work, sell your scrap metal to local recyclers, donate plasma. Do farm and ranch work like fence mending. So there you have it. There is a large variety of ways to make a living on your own if you just get a little creative. Do some research, check the internet forums, contact your local officials, and ask your neighbors for tips and business ideas. Take the time to assess and hone the skills you already have or to educate yourself further on something in which you’ve always had an interest. You’ll find yourself gainfully self-employed in no time.